We adore the rustic style of the St Mawes Refectory Table. With a natural raw finish, the St Mawes Refectory Table is crafted from chunky reclaimed teak giving it a wonderful weathered appearance. At 3m long, it is one of our longest tables and can accommodate up to 10 chairs to complete its look. 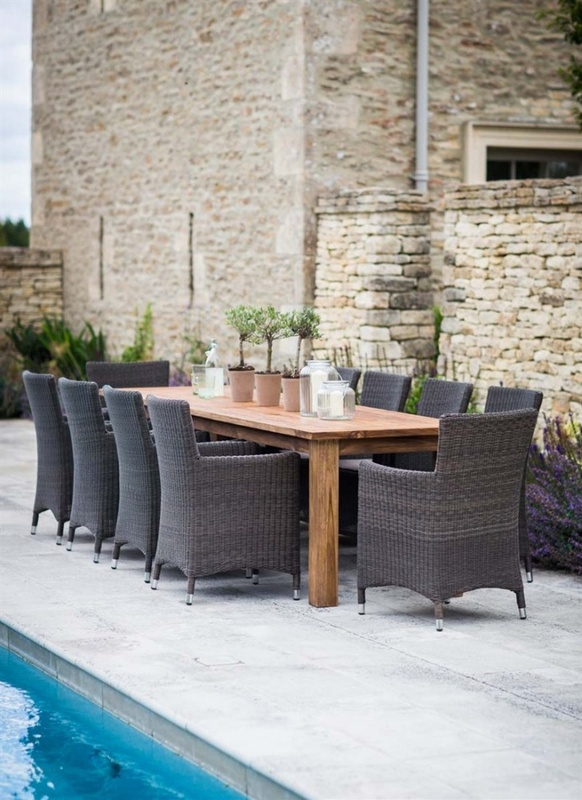 Named after the stunning Cornish coastal town which inspired its relaxed but chic styling, this table really does have the wow factor when it comes to outdoor entertaining. Naturally over time the Reclaimed Teak will turn a soft grey colour and we recommend using Teak Oil to protect, feed and nourish the wood. The item can be covered or stored under cover if left outside for long periods of time or during the winter months.